For a good foundation for your carpet, a firm and resilient carpet cushion is necessary. It will increase its comfort and extend its life. It acts as a shock absorber when walked upon. The cushion (pad) buffers sound, provides increased insulation, and makes a room warmer and quieter. Check the carpet manufacturer's requirements when selecting a cushion for thickness and density. Improper selection of a carpet cushion negatively affects the carpet's appearance. It can cause wrinkling and buckling, separation of the carpet seams, and a breakdown of the carpet structure, as well as void applicable carpet manufacturer's warranties. A general rule for most residential carpet applications is to choose cushion no more than 7/16" thick and no less than 1/4" with 6 pounds per cubic feet density. If the carpet is Berber or a low profile carpet, choose a cushion no more than 3/8" thick with 8 pounds density. Carpet cushion is primarily made from polyurethane foam, fiber or rubber. It is available in a variety of styles and constructions. The type and thickness of cushion needed varies according to traffic levels and patterns. Bedrooms, dens, lounge areas and other rooms with light or moderate traffic can use thicker and softer cushion. Living rooms, family rooms, hallways, stairs and other heavy traffic areas require thinner, firmer cushion. Residential cut pile, cut-loop, or high-level loop carpet requires a resilient, firm cushion with a thickness of 7/16" and no less than 1/4" with 6 pounds per cubic feet density. Types of cushion may be various polyurethane foams, including the very common bonded foam product often referred to as "rebond", fiber, or rubber. Berber carpet or thinner loop or cut pile carpet is made with large, wide loops, and it has been found that a stable, low-flexing, cushion foundation is necessary. A thicker, softer cushion is not acceptable. Cushion thickness should not exceed 3/8" for these type products. Check with the carpet manufacturer to see if a specific cushion is required. There are many different types of pad available today to accommodate all the various types of carpeting. A certain type, thickness and density of padding is required by the carpet manufacturer to maintain your carpet warranty. Be sure to check with the carpet manufacturer directly. It is your responsibility to make sure the correct pad is installed; do not expect the retailer to choose the correct pad for you. If the wrong type, thickness or density pad is used, your carpet may develop wrinkles which is costly to fix, and can significantly decrease the life span of your carpet. Rebond Carpet Pad is the most common and practical choice of carpet pad for any home or small business. Rebond Pad is made from many different types of foam in order to give your floor a softer feeling, while increasing its strength and durability. Rebond Carpet Pad can also help to insulate any room, whether it be warm or cold. Remember that most new carpet warranties require the carpet pad to be a certain weight and thickness, and rebond is available in nearly all of them. Spillguard Carpet Pad is the most spill and stain resistant, residential carpet pad on the market today. Spillguard is made unlike any other carpet pad: this carpet pad doesn't absorb spills! This carpet pad makes use of the exclusive Spillguard Barrier, which no liquid can penetrate. With the Spillguard Barrier, spills on the carpet can be wiped up quickly and easily. The Spillguard carpet pad is the perfect carpet cushion for the not-so-perfect world. Stainmaster Pad absorbs foot traffic and helps eliminate wear and tear damage. Pet owners no longer have to fear their pets accidents or smells with Stainmaster's new odor guard material. Stainmaster pad is made with DuPont Hytrel which stops even the messiest spills from seeping through the carpet and into the pad. Urethane Carpet Pad is much stronger and denser than rebond pad, so it can withstand more traffic and wear damage than rebond. Urethane pad made to allow each cell of the pad to act as tiny shock absorbers, which will dramatically reduce the number of indentations in your carpet. This pad is one of the strongest residential carpet pads available in the world today. 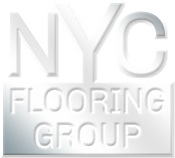 Synthetic Carpet Pad is one of the best carpet pads on the market today. This pad is made completely of recycled materials. Synthetic pad can stand up to any amount of wear and tear. This pad is a great solution for carpet moisture problems. Rubber Carpet Pad is one of the best crush reducing pads in the world. Rubber pad is scientifically proven to help the owners orthopedic problems. This type of pad does not allow dirt and grime to penetrate into the pad. Rubber pad stops the spread of mildew and moisture on your sub floor. Froth Urethane Carpet Pad is the best all around pad in the world. This carpet pad is the only carpet pad of its kind to make use of Sunflower Oil, which means it is environmentally sound. Froth Urethane Pad is one of the only carpet pads that reduce the spread of bacteria. This carpet pad can be installed to prevent, or even eliminate, sub floor moisture buildup. • Received the "Green Label Plus"